Moving house is a bit of a lottery for a number of reasons, but one of the most annoying problems that you can’t really do much about until it’s too late is your mobile coverage – if you move into an area of poor reception, you’re out of luck. 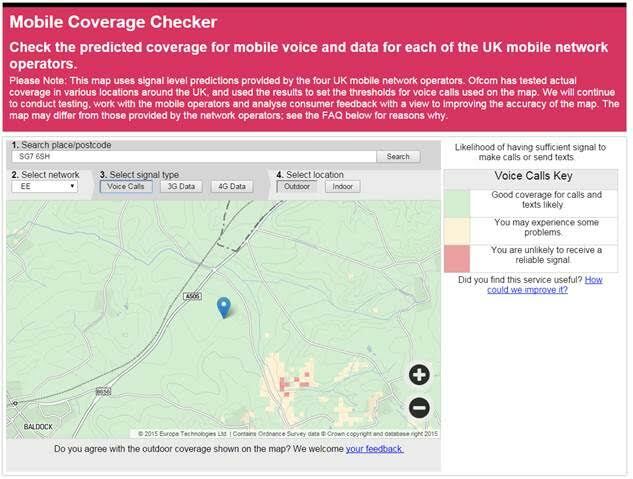 Now, however, you can use Ofcom’s official mobile coverage checker before you decide to take the plunge, so that even if your new abode has terrible signal, at least you’ll be going in with your eyes wide open. Handily, the tool splits coverage down by indoor and outdoor too, which gives a better indication of the strength of signal you’re likely to receive in the real-world, rather than standing unimpeded with no houses or buildings around you. You can search by place or postcode, and refine your search by the type of coverage you want to check – voice calls, 3G data and 4G data. You can also select which operator (EE, Vodafone, Three and O2) you want to check. Green shows areas that are most likely to get coverage, and red shows the areas that are not. Of course, it’s not a guarantee that your next pad will have decent coverage. 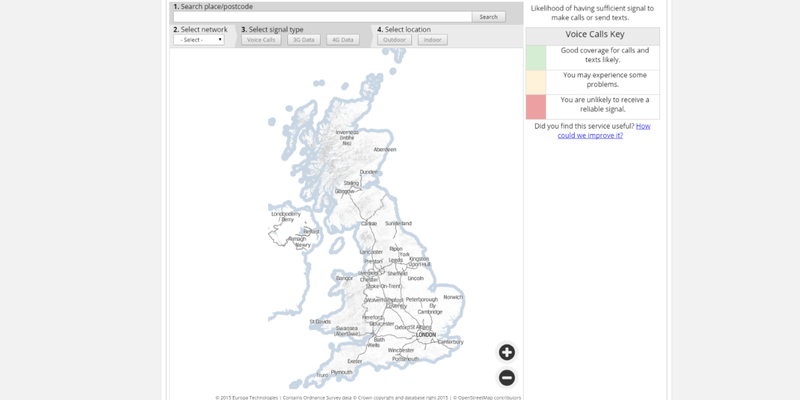 Ofcom says that people living in basement flats or houses with thick stone walls might still get a lower real-world signal than the map indicates. Thankfully, even if you have moved into an area of poor coverage, some networks (Three and EE currently) allow you to offload calls via your home Wi-Fi. Read next: EatFirst Home: Tasty same-day dinner delivery is great but can it scale?